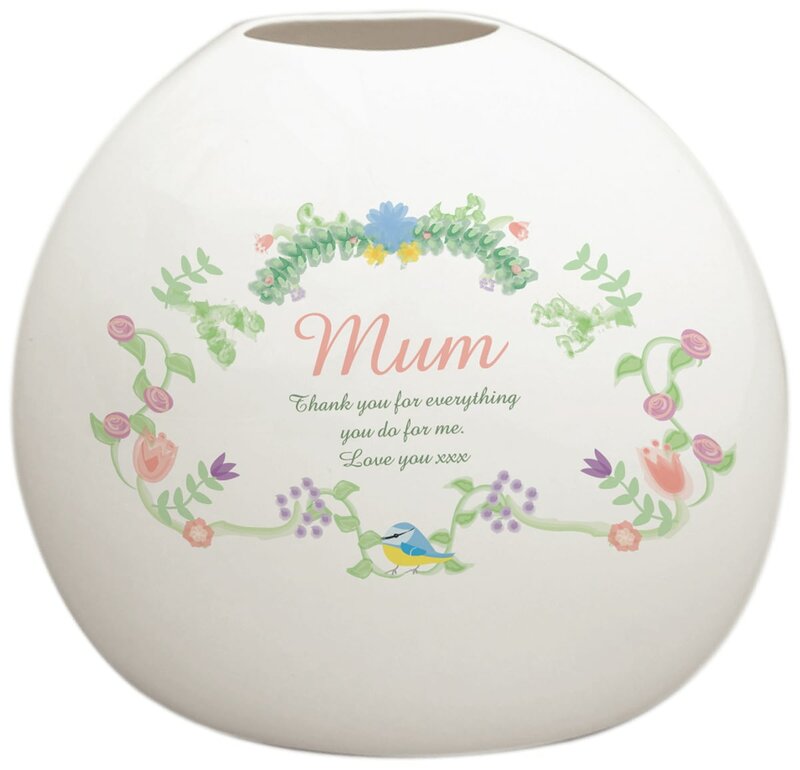 Personalise with a name and message to make this jug an extra special gift. A bright and floral design runs across one side of this beautifully made ceramic teapot, which we personalise by adding a name of your choice. Simply add a name of up to 15 characters to the bone china tea pot below the fixed text 'Specially brewed For'. The white bone china vase is 21 cm tall and 27cm wide. Personalise by adding the recipient’s role to you, your child or children’s name/s and the recipient’s role to them. This is a beautiful little gift for someone who enjoys a cuppa or two. The 25oz teapot with our Spring Garden design is personalised with the recipient's name. A chic floral round design runs across one side of this beautifully made ceramic mug.